“It is the pine that extends its arms to receive the first snows in Japan; and the March winds violently shake it to shed the last snows which have tried in vain to veil it. That same pine is present in the rainy season to dispel our gloom; it is there, though perhaps a little scorched, but still relatively evergreen, when summer suns are glowing over the whole land. 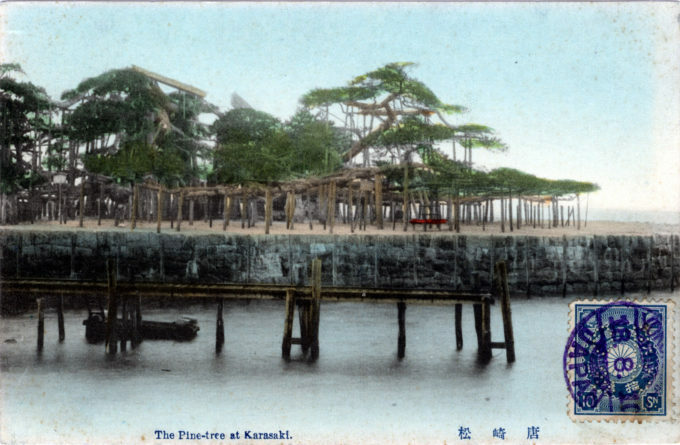 “The old pine tree of Karasaki,” c. 1910. 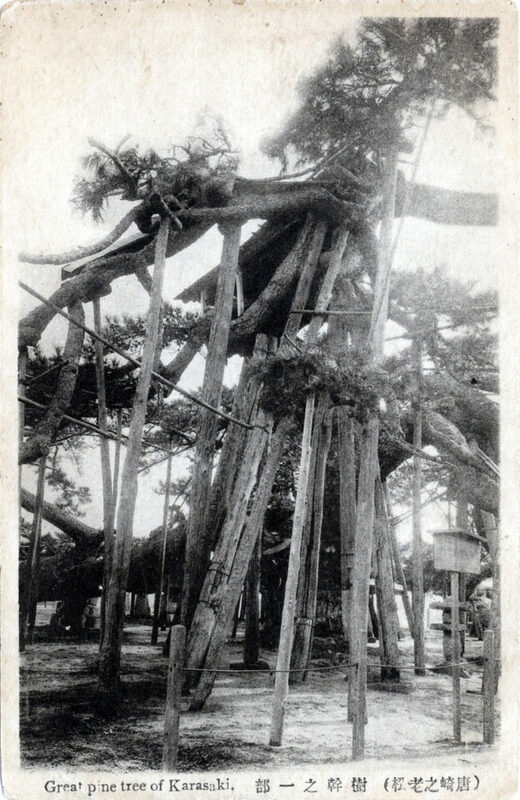 Great pine tree of Karasaki, c. 1910. “The Karasaki Pine Tree (Karasaki no matsu) stands on a walled esplanade in Karasaki village, 5 MN of Otsu near the steamer landing. Its 300 or more immense horizontal boughs, upheld by wood crutches or stone pillars, curve awkwardly, and at the top – 25 ft or more from the ground – tin and wood copings have been placed as a protection against the weather. These arms, some of which measure 200 odd ft. from point to point, reach out like those of a gigantic and repulsive spider, and are almost bare of foliage. “Old pine tree at Karasaki.” Panoramic view of the Karasaki pine tree, c. 1910. 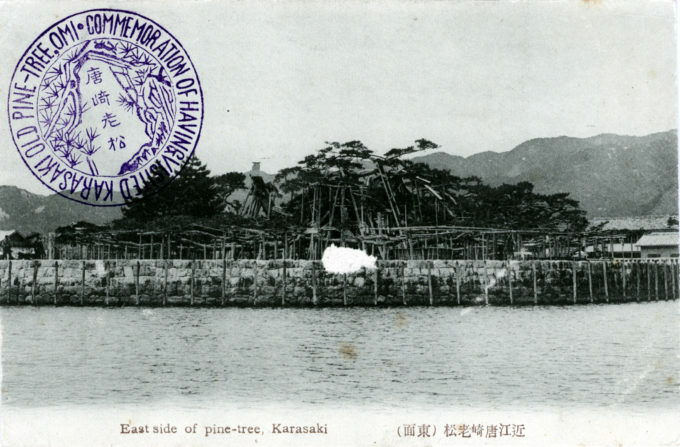 The Pine-tree at Karasaki, 1918. 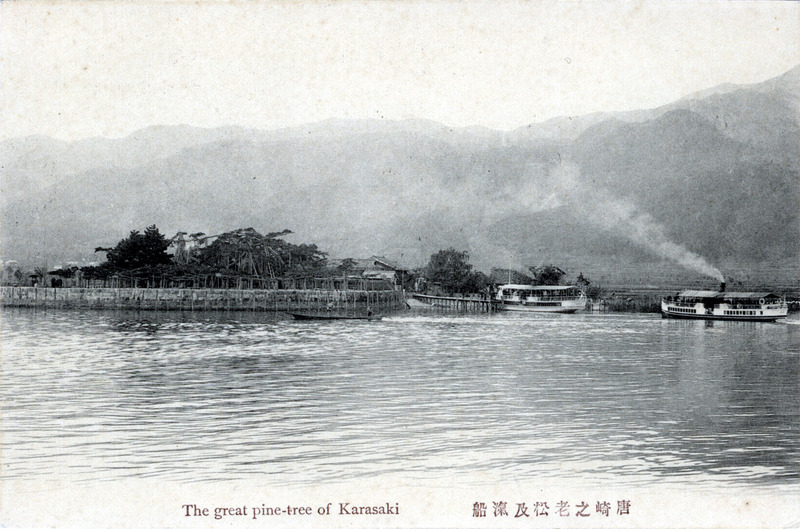 “The great pine-tree of Karasaki”, c. 1910. From the wiki: “Kenroku-en is one of the ‘Three Great Gardens of Japan’. The grounds are open year-round during daylight hours and are famous for its beauty in all seasons. 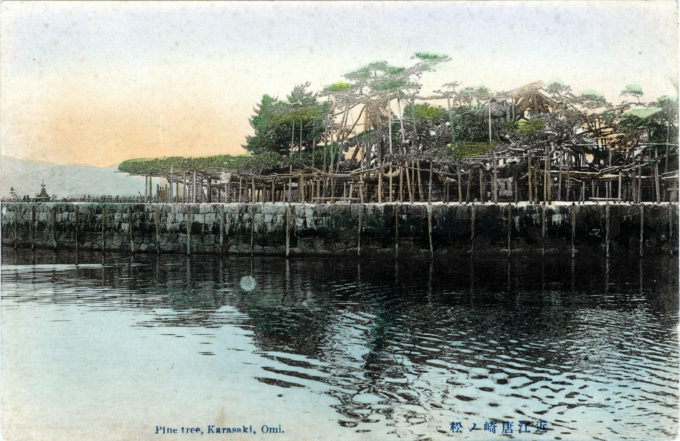 Kenroku-en contains roughly 8,750 trees, and 183 species of plants in total. 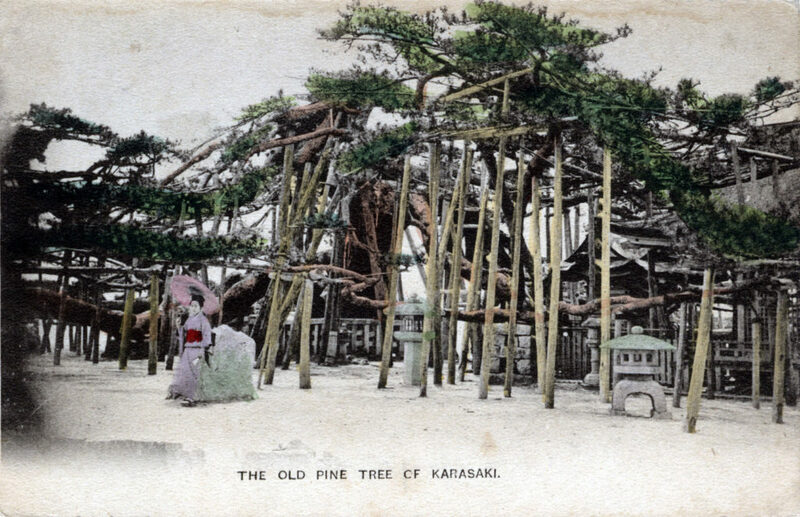 Among the garden’s historical points of special interest was the Karasaki Pine, a hitsu-matsu, planted from seed by the 13th lord Nariyasu from Karasaki and which lived for 1000 years. It inspired woodblock artist Hiroshige.